Buildatron Systems to Present a Revolutionary 3D Printer, the Buildatron 1, at the World Maker Faire September 17 and 18th at New York Hall of Science in New York City - Today Buildatron Systems announced the international launch of the Buildatron 1 3D printer which will “Build a Revolution” through affordable 3D printing. Their offering represents a new paradigm in 3D personal manufacturing technology and will be exhibited at the World Makerfaire in New York City on September 17th and 18th. Buildatron Systems to present a revolutionary 3D printer, the Buildatron 1, at the World Maker Faire September 17 and 18th at New York Hall of Sciences in New York City, NY. 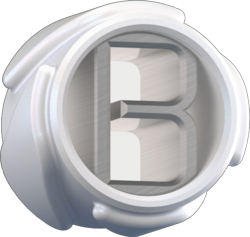 Today Buildatron Systems announced the international launch of the Buildatron 1 3D printer which will “Build a Revolution” through affordable 3D printing. Their offering represents a new paradigm in 3D personal manufacturing technology and will be exhibited at the World Makerfaire in New York City on September 17th and 18th. Buildatron’s exhibit at the Maker Faire will showcase both the fully assembled Buildatron 1 3D printer based off the with metal and plastic cases as well as the un-assembled Buildatron 1 social network driven DIY (Do It Yourself) 3D printer kit. In addition to highlighting their machine they plan to give demonstrations and to convert the thousands of Maker Faire attendees to the RepRap Community and the rapidly growing capabilities of 3D prototyping and the effects both can have in shaping and changing lives. Buildatron will be the latest and most exciting addition to the World Maker Faire’s 3D printer village which has grown to include 22 hobbyist and 8 commercial vendors with varying focuses. The Maker Faire is an event created by Make Magazine to "celebrate arts, crafts, engineering, science projects and the Do-It-Yourself (DIY) mindset". This year the two-day festival will open in the New York Hall of Sciences in New York (Queens), on September 17 and 18th. Like its more serious counterparts, it is a gathering of geeks, but with the addition of do-it-yourself enthusiasts, back-yard scientists, garage tinkerers, artists and crafts people. Oyen Digital LLC, a leading provider of high-performance storage solutions, announced the newest member to its family of portable hard drives - the U32 Shadow™ 1TB USB 3.0 Portable Hard Drive. 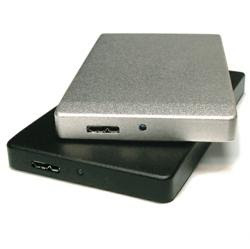 The U32 Shadow™ is the slimmest 1TB USB 3.0 hard drive on the market today. The series features an attractive aluminum housing, measuring 4.9-inches x 0.48-inches x 2.9-inches, while providing reliable protection and maximum heat dissipation. "We're pleased to offer the new U32 Shadow, which is designed for ultra-portability while delivering ultra-fast USB 3.0 transfer speeds," said Steve Oyen, Owner of Oyen Digital. Oyen Digital's U32 Shadow™ is bundled with a free 7GB Online Cloud Storage account from SpiderOak with additional cloud storage available at a 10% discounted rate. The U32 Shadow™ is stocked and shipped by Amazon.com. The product can also be purchased directly through Oyen Digital's website as well as authorized resellers. Dimensions: 4.9" x 0.48" x 2.9"
Turtle Beach XP500 Gaming Headset Now Available for Pre-Order at Headphones.com - Turtle Beach expands on their hugely successful PX5 gaming headphone to give maximum Xbox 360 compatibility with the new XP500. 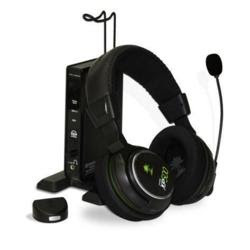 Headphones.com, a leading internet retailer of headphones, earphones, gaming headsets, and headphone accessories is proud to announce the availability of the Turtle Beach XP500 gaming headset, specifically for use with the Xbox360 gaming console. The predecessor of the XP500, the Turtle Beach PX5 which was originally made for the popular PlayStation3, has been one of Headphones.com's top selling gaming headsets. The demand for a pure wireless surround sound gaming headset has increased as technology advances, and Turtle Beach has introduced the perfect solution to integrate with multiple devices. The XP500 introduces itself as a multifunctional surround sound gaming headset with the ability to connect to mobile phones, laptops, and any other Bluetooth enabled device. This gives it the ability to stream music, chat or watch videos with sound on any of these devices. Gamers will be most impressed with features which enhance the gaming experience. Turtle Beach offers a fully customizable interface which users can connect to through the Turtle Beach website and download different game profiles. These game profiles will eliminate unnecessary background noise for the specific game and improve the accuracy of the sound of the games virtual environment, pulling the gamer deeper into the game. 10 Years and 30 Million Security Cameras Later: SpyTown.com Puts A Focus On Security Camera Increases On 9/11’s 10th Anniversary - SpyTown.com cites research reporting an increase of 30 million security cameras installed in post 9/11 America, with the cameras populating both public and private areas. Security cameras, once reserved for airports, Fortune 500 corporations, and retail stores, are now speckled throughout all areas of life – from public parks to elementary schools and the sidewalks our kids play on. SpyTown.com, home security camera experts, cites data from IMS Research that 30 million security cameras have been sold in just the last decade following the footprint of the 9/11 terrorist attacks. “SpyTown is based in Long Island, so we saw front and center the aftermath of the 9/11 attacks. It made us all aware of how vulnerable we are, and security cameras help give us some peace of mind. They may not be able to fight terror, but they are a tool in preventing it,” reflects Howard Geschwind, SpyTown.com Sales Director. SpyTown.com has supplied thousands of IP security cameras to New York City over the last decade to monitor various aspects of city life and help protect its citizens. Security cameras were recently used in NYC to piece together the motions of Leiby Kletzky, an 8 year old that was brutally murdered in Brooklyn this summer. Although the cameras were not enough to save Kletzky’s life, they did help pinpoint his whereabouts and pin down the murder suspect. The NYC Surveillance Camera Project has been keeping watch over the city’s security cameras, and reports that an average of 200 security cameras monitor every district in NYC. Although there is some controversy over the public cameras, additional security cameras are continuing to be added. Electronic Manufacturers, Suppliers and Retailers Get Ready for World’s Largest Electronics Fair - World’s largest electronics industry event, Hong Kong Electronics Fair (Autumn Edition) and concurrent electronicAsia present valuable business opportunities for electronic manufacturers and suppliers. Innovative electronic products will be showcased in the world’s largest electronics fair this October between 13-16, when HKTDC Hong Kong Electronics Fair (Autumn Edition) provides the springboard to global markets for electronic manufacturers and suppliers. It’ll help present the best sourcing hub to find export quality electronic products from China and Asia Manufacturers. In its 31st edition, the fair expects a record-breaking 3,000-plus exhibitors from around the world. In addition, more than 600 electronics components, solar and display technology companies will be present at the concurrent electronicAsia. These two fairs will maximize electronic trade opportunities for all electronic manufacturers and suppliers. “The Autumn Edition strives to contribute to the continued growth of the electronics industry. The new “Invention Zone” will help inject new ideas into the industry by showcasing the innovated work from Hong Kong, Chinese mainland and Taiwan. Many of the inventions are patent-registered or patent-pending, and endorsed by industry bodies,” said Benjamin Chau, Deputy Executive Director, HKTDC. Special Pricing on the Trimble Nomad Rugged Handheld Computer from Group Mobile - Group Mobile is offering a special, limited-time discount on the Trimble Nomad 800LC rugged handheld computer. Unit pricing starts at $999. This amazing offer is good from September 1, 2011 through October 31, 2011, or while supplies last. 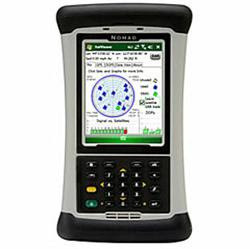 Group Mobile, well known for carrying the top brands in rugged laptops, rugged tablet PCs, rugged PDAs, and rugged handheld computers is offering a special, limited-time discount on the Trimble Nomad 800LC rugged handheld computer. Unit pricing starts at $999. This amazing offer is good from September 1, 2011 through October 31, 2011, or while supplies last. The Nomad 800LC offered in this promotion features an 806MHz processor, 1GB internal memory, a long-life hot-swappable battery, and built-in wireless capabilities like 802.11g, and Bluetooth. The Nomad 800LC also features a high-resolution, sunlight-visible VGA touchscreen display that presents graphics and maps in vivid detail. The Nomad 800LC rugged handheld makes it simple to gather, save, and send out data with its many built-in capabilities including an integrated GPS receiver for navigation applications and a 2MP digital camera to capture color images in the field. DROIDAX Packs Power Punch for Samsung Galaxy SII - Android mobile accessories company DROIDAX has announced a stylish compact Power Pack costing just $49.95 that significantly boosts the battery runtime of Samsung’s new Galaxy SII handset. Android mobile accessories company DROIDAX has announced a stylish compact Power Pack costing just $49.95 that significantly boosts the battery runtime of Samsung’s new Galaxy SII handset. 300 extra hours on standby. 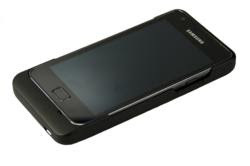 The easy-to-use Power Pack for Samsung Galaxy SII allows you to charge both the Power Pack and the phone without removing the case while cutouts provide full access to the screen and all ports, jacks and buttons. The case comprises a two-piece design for easy installation and removal of the phone. New Underwater Photography Gear For Summer, Scuba Mask Cameras and Underwater Lenses For Gopro Cameras From Pointofviewcameras.com - Scuba mask cameras that take underwater videos and photos are all the rage. For action camera enthusiasts a new underwater lens gets rid of blurry video and produces much sharper images. Summer is still here, why not make the best of it by recording water sport adventures on video with scuba mask cameras? Pointofviewcameras.com is announcing two new products that can make recording wild diving, surfing, paddling antics fun and easy. 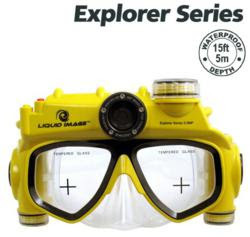 The Liquid Image scuba mask cameras from Pointofviewcameras.com are the world's only swim mask that has an integrated waterproof digital video camera that can also take high resolution still photos. Dive to 15ft / 5m and deeper (depending on model) and record everything seen from a person's point of view. Eliminate the need to hand carry an expensive underwater camera, the Liquid Image scuba mask cameras are perfect for diving, snorkeling or swimming pools. With the newest budget Liquid Image Explorer 304 model, the scuba camera allows diving down to 15ft/5m, take 8mp still photos and quality videos for less than 99 dollars. For convenience all Liquid Image cameras come with internal memory and take MicroSD cards. Standard AAA batteries are used so it's easy to find replacements no matter the water sport location in the world. All Liquid Image cameras from the budget Explorer to the Scuba series are specially designed to allow lighting attachment accessories for divers wishing to explore the murky depths. 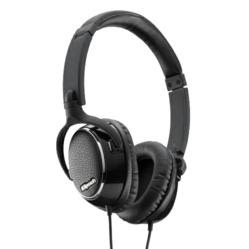 Select Klipsch Headphones Now Available and in Stock at Headphones.com - Headphones.com now offers the Klipsch headphone line, with 5 models in stock and available for immediate shipment, ranging in price from $39.99 to $349.99. Leading internet retailer, Headphones.com is now an authorized dealer for Klipsch Headphones. Klipsch, a leading brand in the home audio market for decades is now a serious player in the portable audio and headphone markets. "We are excited to be offering Klipsch products to our customers." says Headphones.com General Manager Brian Gluck. "The Klipsch brand resonates with audio connoisseurs everywhere, and their recent headphone & earphone introductions allow users to take the legendary Klipsch sound quality with them wherever they go." The least expensive of the Klipsch headphones is the Image S3 earphone for $39.93. The S3 is available in three colors Galaxy Green (1012674), Rebel Red (1012673) and Graphite Gray (1012135). These affordable sound isolating headphones all deliver dynamic sound and comfort with impressive highs and lows. The Image S4 earphone offer sound isolation with an 8.5mm driver and is available in 2 colors, black (1010471) and white (1012677). Coming in at $69.99 these headphones offer smooth sound with enhanced base. The Image S4i at $89.99 offers the same high performance, but have a microphone and a 3 button remote for Apple products. The S4i is also available in 2 colors; black (1012675) and white (1012676). The Best Headphones for Exercise: ZIPPEARZ Launches Slip-Proof Sports Ear Buds - ZIPPEARZ Sport Ear Buds stay in place during running, jogging, and other sweaty activities and deliver outstanding sound and noise-canceling performance. ZIPPEARZ is celebrating their premiere product launch with the release of ZIPPEARZ Sport Ear Buds, the best ear buds for running, yoga, Pilates, and other activities. ZIPPEARZ Sport Ear Buds are sports headphones designed for the active audiophile who wants to enjoy both a good workout and great music, without compromising on comfort, sound, or performance. ZIPPEARZ are ergonomically designed to remain in place without sliding or slipping during the most strenuous activities, while delivering high quality sound and noise canceling performance. Two years ago, Steve had grown frustrated with the lack of quality sport headphones for running and jogging. The existing ear buds on the market tended to slip and slide out of the ear during sweaty or strenuous movement, and other headphone styles were uncomfortable or unwieldy during exercise. Rather than settle for reduced comfort and sound quality, Steve decided to develop a product that would allow the exerciser to enjoy the benefits of music during a workout without having to constantly adjust awkward ear buds. Card Scanning Solutions Releases New Duplex Card Scanner Hardware, SS3100D And SS3100DN - CSSN Inc.dba Card Scanning Solutions recently released their new high-speed duplex scanners SS3100D and SS3100DN which offer the simultaneous high image quality capture of both sides of a scanned document. The available optional software and the added features and functionalities of the hardware provide a unique and convenient double side scanning solution for both desktop and mobile use. Card Scanning Solutions (CSSN Inc.) has been the leader in image processing and OCR technologies since 1999. With the recent launch of the latest version of software 9.50.0, the ScanShell® 3000D and 3000DN duplex scanners were upgraded to the ScanShell® 3100D and 3100DN. The added features and functionality of these scanners make the hardware the perfect solution for the duplex scanning of a wide variety of cards and documents including insurance cards, driver licenses, ID cards, passports, photos, full letter, legal sized documents and even embossed cards. “We understand the importance of offering a high-speed duplex scanning solution that is portable and easy-to-use. The ScanShell®3100D is a robust advancement of the legacy ScanShell®3000D units. The result has been improved speed, more power, and the capacity to pass through thicker card stock. This hardware is bundled with our comprehensive software for the ideal scanning solution,” said Yossi Zekri, President and CEO of Card Scanning Solutions. The ScanShell® 3100D and 3100DN duplex portable scanners are equipped with a high speed USB 2.0 standard interface and require no external power supply. These scanners have a small footprint weighing only 588 grams which enhances their portability and offers the flexibility to use the scanner in an office or while on the move. Since the duplex scanners are Windows (WIA-STI) and TWAIN compliant, you are able to easily incorporate this hardware technology directly into your existing software application.